This photograph shows my sister Betty Webb, aged fourteen, who was a monitor in charge of the infant class. The photo was taken in 1936. The school was in Fairlight Place, just off Lewes Road. The school was built in 1870 and rebuilt in 1931. Although this picture is 1936, I went to Fairlight School in the late 1960’s/1970’s. I would think from the picture that this would have been the lower part of the school as I remember the style of the windows when in the Infants School which was the lower part of the school. I go to Fairlight and I’m in yr 6, that’s Miss Lynn’s class room by the top hall. Something else I remember, is that the caretaker’s name came in for a bit of ribbing. In those days you would not have dared to do otherwise. Also of course our lovely late Diana Dors had the same birth name! I have been reminded of Pop Morrison and his chocolate bar (Caramac). I can remember him very clearly after all these years as he seemed to have a good aim over his shoulder with the board brush for anyone who dared talk when his back was turned. I now believe, after talking to other old Fairlighters, that he must have had a mirror next to the glue pot! He took us swimming at St Luke’s School. Is the swimming pool still in use? I was at Fairlight School, infants, juniors and seniors leaving in 1958. Miss Smith was the headmistress of the seniors when I left. I also remember Mr Morrison, and the blackboard rubber he used to throw at the pupils. I also remember a teacher in the seniors called Miss Beard and also Miss Harrison who I really liked. Yes – Miss Smith. Ruled with a rod of iron, but had a heart of gold. In the Juniors when I was there the headmistress was a Miss Dunstan. I also remember a Miss Adams (Pam) I remember she collected bun pennies and was also (I believe) a concert pianist. A Miss Tibbles, Miss Seaman. At some stage I recall, we had to walk along to a Mission Hall for our school dinners. This was just near the stonemasons. It is still there, but used for something else. Crikey; Pop Morrison! I definitely remember him and, I think, Miss Smith and Miss Dunstan from when I went there in the mid to late 60s. Pop taught us boys Technical Drawing and also did some PE lessons, I remember hating having to climb the ropes in the hall and the feel of the coconut matting! I can still remember Pop telling us about Latvia, Lithuania and Estonia – don’t ask me why, but it has always stuck in my mind! When I was in the juniors there was one evening a week when a goup of us used to stay behind in the playground (the one with the sloping path and outside toilets) and play football for an hour. Happy days! Yes “Pop Morrison” deadly aim with a chalk! I can see him now,on the stairs with his bar of Caramac. I recall him teaching us to swim (in the classroom) over two chairs. We would be taken by hi, to St Lukes swimming baths. Other teachers I recall in the juniors were: Miss Tibbles, Miss Adams, Miss Seaman and Miss Dunston the headmistress. Miss Smith was the Fairlight Girls head. Elm Groves head was Miss Butler. Some of the juniors at Fairlight were , I recall ,Bruce Brittain, David Sayers, Michael St Jean, Nola Rolf. I was at Fairlight Juniors until around 1959, moving upstairs to the girls school. Very soon after Fairlight girls joined Elm Grove. Does anyone have any photos of these schools? I should have mentioned I was Jennifer Smith then. Please,if anyone has any class photos or knows where any are, can we see them? So many of the teachers names are familiar, but also there was Mrs Ivory, Miss Brunt, Mrs Kirkham the playground lady and Mr Corbin, who must have learned to throw a wooden and felt black board rubber with pinpoint accuracy at the same training college as Pop Morrison! Having once been hit just above the eye with it, I can vouch for the way it focused your attention on any incoming, provoked by not paying enough attention! And as for us pupils, I remember, Clive Polling, Graham Harriot, Graham Brooks, Alan Henshaw, Pat Fogden, Wendy Smith, Christine Chapman, Debbie Jones, Keith Hornsby,Zane Carpenter, Chris Rodgers, Joan and Jean Ruffle and I apologise for the other half dozen or so names that I am still racking my brains for, but I do remember a day trip to London with Pop Morrison to visit St Paul’s cathedral,from where I still have a photo, if only I can find it of us all. My family have a long tradition of going to Fairlight, started by my grandfather, followed by my mother, myself and then my son, who has now been at work for a number of years -where do the years go! and who knows when he has children of his own, most likely to Fairlight. Even now I remember Miss Smith’s custard yellow old style Capri, the monitor walking the corridor ringing the bell, the unforgettable smell of the varnished woodwork, not to mention Pop Morrison’s smelly glue pot! used for making a table tennis bat I had for years and a small wooden house I made all those years ago in woodwork. I will do my best to see if I can track down any photographs to submit to this site for all the other Fairlighters out there. Chris; you have brought back more memories with talk of Mr Corbin and the monitors. I remember being a stairs monitor, ensuring that pupils coming in at break time went up the stairs quietly without pushing. Any offenders being extracted from the crowd and made to wait to the end. The boys’ toilets outside in the playground, and the amazement of finding that on wet days there was a passage way through the gym(?) store that allowed you to get to the toilets without going outside. You must have been there a couple of years before me Chris, as Miss Brunt left while I was there, Mr Legge replaced her – with his tales of fighting the Japanese in the Far East. There were a couple of Fogdens there in my time as well. Hi Geoff, glad that I was able to bring back a few memories, as you have done for me. Mr Legge, a name I had almost forgotten, but yes I now remember him too. And I also remember Pat Fogden, Julie Parker, Sara Shepperd. Please forgive me if I have forgotten anybody or spelt names wrongly, but it has been a few years now! I have spoken to my mother with a view to putting some photographs on this site, but she tells me she lent these pictures to the school on a loan basis but has never received them back, but I shall keep looking. And, yes, I remember the gym store, also under the stage in the hall, once getting shut in there during assembly and having to keep quite to avoid discovery! We also found that being young and skinny we could sqeeze down between the window and stairs leading up to the senior girls and hide in the space beneath, I certainly could not do it now! …and what about the big sheets with the words of the hymns that were hung from an easel on the stage for morning assembly? I remember Pop Morrison being a real martinet with the boys in Gym – making us climb the ropes and go across the gym on the paired ropes near the stage. Geoff, nice to hear more of your memories, it does help when somebody triggers thoughts of long lost times past. It helped me remember the large round gold coloured door bell to the headmistress’s office with the illuminated writing and bell button in the middle, and the feeling of trepidation when having been summoned to the office you had to push the button and wait nervously for the sign to illuminate before you were allowed to go in! I also remember, as has been mentioned before, being shepherded in a long line of children along to the Connaught Mission next to Phillips the Stonemasons for school dinners, and after leaving secondary school. I then went on to work at Phillips for many years! and now find it very sad to now see it turned into a Pizza shop! Now the memories have started returning, I remember a Geoff Aston, would this be you Geoff? Hi Chris, I remember so much of that and salvage day when we all took papers and one class was lucky enough when the salvage men came, to be chosen to carry all the papers down the stairs after they were weighed. It was much better than lessons. Hope you find that picture, I remember the trip but the shop lost my photos (either that or a made a complete pig of them and they were just being kind). Hello Zane, yes I remember you well, and it is nice to hear from you and that there are at least a few of us from this era who can still remember the general day to day life at Fairlight. After all these years it helps to have the memory jogged by my fellow schoolmates, and it would be nice to hear from even more of my classmates. And Zane, I am still hunting for any photos of this time, particularly of our trip to London with Pop Morrison, and will submit them if they turn up. I cannot remember the exact date I first went to Fairlight- I only know that I left there in November 1961 to emigrate with my parents to then Southern Rhodesia, now Zimbabwe. I had a great time there. If any one remembers me please drop a line- it would be great to hear from you. This page is a real memory jerker. I attended Fairlight Infants and then Juniors up to 1961. I lived in Upper Wellington Road. I remember Brucie Brittain from Franklin Street. Some of the names from school I recall are: Julia Nutton, Stephen Mogridge, Ian Hamilton, Dave Edwards. Terry Avis and Mick Duncan. I remember most of the teachers mentioned. Pop Morrison had a boxing club. I remember sneaking back into the building one evening, I must have been about 9 or 10, with a couple of other kids and getting caught by Mr Fluck. Happy days all in all. I moved to Brighton (St. Paul’s Street) aged six in 1959. I first attended Fairlight Infants for part of a year, the class teacher then being Mrs. West, and the Infant head then being Miss Bell. Another teacher on the Infant’s side was Mrs. Newall. I moved up into the Juniors in September 1960. 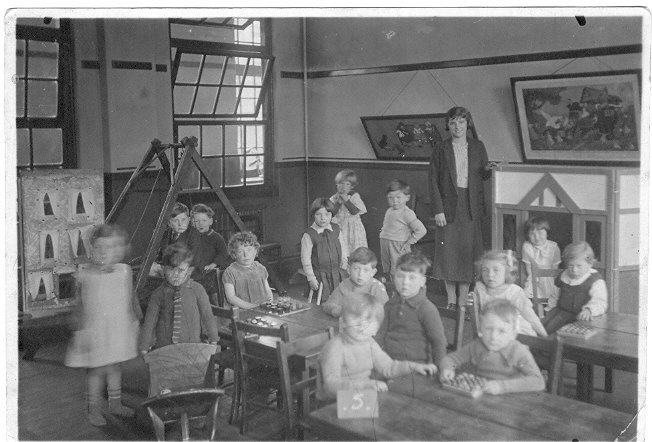 I was initially in Class 1R – Mrs. Craig’s – for half a term only, then into Class 1 where the teacher was initially a Mrs. Tompkins who I believe left at Christmas due to maternity. Her replacement was the young and extremely inexperienced Miss Collins. Class 2 teacher was Miss Seaman (very old! ), Class 3 Mr. Smith, and Class 4 Miss Brunt (also old!). The Junior head was Miss Dunstan for my first year there who retired, and thereafter Miss Smith. I also recall other teachers Mr. Morrison, Mrs. Hughes, Mr. Vineny, and Mrs. Simmons (very young!). Various fellow pupils I can remember during my four years in the Juniors (1960-1964): Boys: Stephen Barker, Michael Brown, Colin Steedman, Kelvin Robinson, Martin Panther, Martin Snow, Roy Whiteman, Tony Smart, Tony Johnson, Phillip Lord, Keith Denyer, David Hughes, Raymond Mogeridge, and a couple of others who were I think a year behind me: Michael Dean and Michael Hawkins. Girls: Mary Farrow, Anabel Gill, Margaret Reynolds, Julie Price, Janet Paine, Amy Charlier, Shirley O’Neale, Pauline Brown, Dawn Pyle, Christine Fogden. My best friend of all – but acquainted for my final year only (school year 1963-64) was Christopher Hill whose father was a Warrant Officer based at the time at Brighton barracks, and who I believe moved on to an army secondary school at Worthy Down in Hampshire. All a long while ago now! My name is Sharon Nicol – maiden name Chappell. I remember so many of the names as in Debbie Jones, Joan and Jean Ruffle, Zane Carpenter and the others. I have lived in Cairns Queensland for last 30 years and love to come back and visit Brighton. My two brothers also went to Fairlight, Jeff and Adrian. I can’t believe I’ve seen all these names. I remember the names Chris Groom and Zane Carpenter, Pat Fogden, Joan and Jean Ruffle etc. I also remember Mr Morrison throwing a black board rubber and also going to St Luke’s pool on cold, wet days. I am now living in Cairns, Australia where I have been for 30 years. I now have children and love coming back to visit my brothers who live in Worthing and Southwick. I have just seen Hugh’s comment above… Miss Brut was still at Fairlight when I was there – I started the Infants in 1964 I think – but by then she was the Head of the Juniors and known (because of her age, I guess) as ‘the Bruntosaurus’. She retired when I was at the end of the 3rd year Juniors and I can’t recall who replaced her. Just been reading the comments. I went to Fairlight in the mid ’70s. I remember Miss Bell, the head teacher. Also I remember Mrs Brookes and Mrs Parrot. Moved up north in ’79 but never forgot my time at Fairlight. Also some of my old friends: Cheryl Richardson, who I named my daughter after, Nicola Pommelroy and Leonie Sayer. Hi Allan. Just read your message regarding Fairlight School. I lived in Franklin Street. You mentioned about Bruce Brittain – I was friends with him, my brother had seen him at a party in Patcham. I have tried to find him but no luck. If you still see him, give him my regards. He had a sister older than him, Brenda, and he lost his Mum when we lived in Franklin Street. What memories of Fairlight, lovely to see them all. I was there between 1959 and ’65, when I went to Westlain. I lived in Shanklin Road and used to walk up Hartington Road, usually popping in to see the stonemason on the way home. My schoolfriends were Gary Powell, Phil Ford and Julie Scott, who all came to Westlain with me, plus Adrian Parrish and Margaret Cooper. Pop’s board-rubber skills do stay in the mind, as does the time that someone wrote “Miss Brunt is a (rhyming slang)” on the school wall – didn’t have a clue what it meant but knew it was VERY rude. We walked along the road in a crocodile for our lunches and used St Luke’s for swimming. I learnt recorder and harmonica and also had a brief stint on the kettle drums in orchestra but was taken off that treat for talking (this was better music education that I received at Westlain, strangely enough!). I was monitor when the children had their vaccinations in the school hall but passed out at the end when it was my turn. Nitty Norah came round to the school once a year, I think. I hated the milk left in crates in the playground – nastily warm in the summer and freezing in the winter. We had one third of a pint of this, together with a Rich Tea and a Cadbury’s Finger in morning break. Anyone else from my year? Hi Rodney, just read your note about Brucie Britain. I have not seen Brucie since back in the 1960s. He used to sing with a band back then and I think also wrestled as Bruce ‘Snake-hips’ Britain. I must find the time to pop back and look up the old area. I lived in Upper Wellington Road. Lovely looking at all the comments about Fairlight. I was there from 1970 – 1978. Mrs Benson was the head of Infants. I’ve never forgotten the evil Mrs Newall and the lovely Miss Mason. Other teachers include Mr Corbin, Mr Pitts, Mrs Tribe, Miss Lane, Mrs Trott, Mrs Day, Mrs Hubert, Miss Scott, Mrs Parrott. Also there was Mrs Fozzard the receptionist, Miss Moon the dinner lady, Mrs Tucker the head of kitchen and Mr Mitchell the headmaster who took over from Mr Allen. I remember being allowed to ring the school bell for one week every term and also the whole school being given an ice cream block once a year and having to eat it in the playground. Happy memories. Hello Sharon Chappell, so nice to hear that some Fairlighters have managed to make it so far away but STILL remember so well some of the old school days! I have had a Stroke since I last sent an email to this site, so despite this I find now returning to read some of the comments on this site. Very much an act of reconnecting to our past Happier days! I do hope that ANY pics that anybody has can be uploaded at some time. As I have previously said all the pics I had my mother gave ALL the original prints to Fairlight and NEVER got them back! And I must excuse my spelling and punctuation, which Pop Morrison would NOT be happy with, but THAT’S as a result of the Stroke! But I wish all my former Schoolmates better luck and look forward to reading all future comments from them. Regards Chris Groom. I was at Fairlight Juniors from about 1956 to 1959. I can’t remember much about the teachers, but I wonder if anyone else remembers this: the last day of the summer term the teacher said the class could sing. All went well until one of the boys requested “Davy Crockett”. We started singing it quite nicely, then got louder and louder, until we were all bawling out “king of the wild frontier” etc at the top of our voices. Realising that things had got out of hand, the teacher did not try to stop us, but instead ran to close the door so the headmistress would not hear. I attended Fairlight from the age of 4 to the age of 9 (1974-79). I just wondered if anyone knows how I can get a picture that was in the Argus newspaper. The picture was taken at the school in 1976 for the 100 year anniversary. I think I was in the front row, and would be great to see it again if possible. Also my brother attended Fairlight from 1970 to 1977; his name is Allan Mills. I went to Fairlight infant and juniors from around 1967/8 to 1975. Names I can remember from my class were Michael Bush, Andrew Griffin, Gary Baird, Graham Winton, Ray Garrett, Dion Nutley, Kevin Dutson, Alan West, Greg McGee, Stephen Davidson, Caroline Goldsmith, Karen Burchet, Tracy Franks, Maxine Billet, Sally Brackenbridge, Sharon ? and Janine Guile, are some – have some great memories from those days. Teachers I recall were some already mentioned like Morrison and Corbin but also Mrs Zsuminska, Mrs Hughes, Mrs Day, Madame Hubert, Mr Grant, Mr Allan the headmaster replaced by Mr Marshall and Mrs Fozzard in the reception area. I loved representing Fairlight in sports particularly the football, cross country, athletics and swimming (we also started swimming at St Luke’s). I feel the school got more out of the pupils and developed them better than the secondary schools, which I think are too large. The school dinners I remember as excellent, you could smell them cooking towards lunchtime and really honed your appetite! I was there the same time as you Max and recognise many names you have listed, my name then was Lisa Simons.